Why does Harvard property in North Brighton look like this? Based on my unscientific survey of people walking their dogs at Smith Field this morning, the power outage that struck early this morning probably affected several hundred homes in Allston and possibly Brighton. This is the 2nd power outage in the month of May. Many bus riders have their share of complaints. In particular, the No. 66 was a target of scrutiny. "The 66 can be terrible when the weather's poor - or maybe I just notice it more, what with standing in the rain or snow and all," said Rima Chaddha, 24, of Allston. "It's supposed to run every 20 minutes, and even quicker during rush hour, but I've regularly had experiences where I've spent 35 to 40 minutes, even an hour waiting." "I take the No. 66 bus pretty much everyday. For a better part of the day, the bus is supposed to run every 10 minutes. I find myself waiting at least 15 minutes, but usually 20 or 25," said Lauren-Ashley Fuller, 21, of Allston. "I realize that the schedules are just suggestions." The city of Savannah, GA is expanding with the Savannah River Landing project, an $800 million, 54 acre, mixed-use development. Their plan creates public open space, housing, retail space, and offices. Sounds a lot like the North Allston Strategic Framework! The developer is planning to build more than two million square feet of new space, including 2 hotels; 150,000 square feet of prime office space; 200,000 square feet of retail space; 4 condo buildings; 17 riverfront estates; and 110 town homes. The city is also extending the historic river walk by 2,000 feet. The unbuilt land interspersed throughout all the development — amounting to nearly half of the overall property — will be deeded back to the city by the development company for public use. Plans for it include the creation of six town squares, to be planted with 40-foot Southern live oak trees. “Savannah has one of the great plans in the world,” the architect Alexander Gorlin said. “The squares give you this breath of greenery every few blocks." “By continuing the historic city plan to the east,” she said, “what we’re doing is expanding downtown. We’re not creating a pod development that could have a negative impact on downtown. If we had allowed an Anytown U.S.A. shopping development, we would have set a precedent for the future that would have etched away at the heart of Savannah. After Brian Honan died in July 2002, a preliminary election in November and then a runoff in December between the top two vote getters was held to elect the new AB City Councilor. Of the nine who ran, two are back this year - Mark Ciommo and Rosie Hanlon. In the preliminary election, Jerry McDermott topped the field with 1668 votes, while Mark Ciommo came in second with 1310. Cathi Cambell, a 34-year-old lawyer placed third with more than 1100 votes. The six other candidates who were also eliminated during the primary election were John Bruno, the 52-year-old owner of Brookline Bag and Paper Company; Gary Dotterman, a 58-year-old liberal activist; Rosie Hanlon, the 42-year-old director of Brighton Main Streets; Dan McLaughlin, a 32-year-old custodian for the Boston Public School system; Mark D. Trachtenberg, a former Boston city librarian; and Arturo Vasquez, president of the Brighton Allston Improvement Association. McDermott won the runoff against Ciommo with 54% of the vote. His win followed two narrow losing bids for the Boston City Council. Here is another way to look at the continguous space that Harvard has available to use for construction of the Science Complex. This looks at only the 19 acres south of Western Ave and exlcludes the triangular parcel closer to Hopedale and the two lots on the north side of Western Ave. I am not suggesting that this is exactly where the parking would be situated. Maybe it would be on some other portion of the lot or maybe it would be in multiple smaller lots in different parts of the larger site. But the point is that there is a lot of space (8+ acres) left over after accounting for the building site and the parking. Until Harvard can explain why this doesn't make sense, it seems that therer is no need to park any cars on the Sears site or elsewhere that would reduce the quality of life for people living on Hopedale St, Windom St, or elsewhere in the neighborhood. Cardinal Sean P. O'Malley, continuing an aggressive and dramatic restructuring of the region's largest religious denomination, agreed yesterday to sell the Archdiocese of Boston's remaining acreage in Brighton to Boston College for $65 million. The logistics of Harvard's construction and how that will impact the neighborhood was a main topic of last night's meeting. One sticking point is where parking for the construction workers should be located. Harvard estimates that the maximum worker parking demand during the Science Complex construction will be for 750 parking spaces. Surface parking requires about 300 square feet of land per parking space or 124 parking spaces can be created on one acre. So 6 acres of land are needed to park 750 cars. The site size of the Science Complex is 4.7 acres. So parking and the construction site need 10.7 acres (6 + 4.7). Luckily, Harvard owns 19 contigous acres of land around the project site. Plus another 3 acres on the north side of Western Ave (allowing for a setback from the Charlesview housing) and another 1/2 acre to the east of Rotterdam (allowing for a setback from the homes at the end of Hopedale). Put this all together and there are 22.5 acres that seem to be avilable for the construction of this building, and 11.8 acres that can be used for things other than parking and the actual site of the buildings. I'm not an expert on this, but 11 acres is a lot of land. It would be great to understand what Harvard needs to do to support the construction that can't happen on 11 acres. This information would help explain why Harvard proposed using the Sears building site for the construction of the Science Complex and why the problems that would result for residents of Windom St would be justified. Q: Where do Harvard's alumni park their cars when they visit for reunion? A: Not in Hahvahd Yahd, of course. Many of them will park here in North Brighton at the Brighton Mills Shopping Center. The Class of 1972 and Class of 1982 are two of the classes that will be there. As the Class of '82 explains, "we have made arrangements with a Harvard Parking Lot to reserve space for the Class of 1982. We suggest you drive directly to the Harvard Parking Lot upon arrival in Cambridge...The Student Bellhops at the Parking Lot will have your 25th Reunion Parking Pass, which should be placed in your car's rear window to allow free movement in and out of the Parking Lot at any time." The Brighton Mills parking lot can hold something like 700 cars. I don't know how many of these spots Harvard is taking for its reunion attendees, but if you are thinking about a trip to Petco or Shaws between June 6 and June 10, maybe allow a bit of extra time. Kelly Wallace was killed on May 6, after her bike was hit by a car in a crosswalk at the intersection of Cambridge Street and Harvard Avenue, in Allston. Near that spot, a stark white “ghost bike” stands in her memory, adorned with handwritten notes and a profusion of blooming flowers. It’s the second fatal bicycle accident in Boston in a month. But no newspaper besides the Eagle-Tribune, from near Wallace’s hometown of Methuen, seemed to notice. Why? Former Cambridge mayor and City Councillor Anthony D. Galluccio said in an interview yesterday that he is “seriously considering” running for Barrios’s seat. State Representative Alice K. Wolf whose House district is almost entirely in Cambridge, said she is “strongly considering whether to run” and acknowledged that a race between her and Galluccio would be a tight one. Michael J. Albano, the former mayor of Springfield, Mass. and a potential candidate, said that while he was “certainly thinking about” establishing a campaign, he would not run against a popular progressive like Wolf. Chelsea City Councillor Paul R. Nowicki and State Representative Eugene L. O’Flaherty both told The Crimson they are considering possible runs. Sometimes it can be easy to forget, but here in Allston and Brighton we are also represented at City Hall by 4 at-large councilors. Here is who is running for those seats, courtesy of the Phoenix. "Nine potential candidates have submitted signatures for at-large, including the four incumbents. The elections office has not gotten to all of them yet, so we don't know yet if they'll all qualify, but the challengers to incumbents Felix Arroyo, Michael Flaherty, Steve Murphy, and Sam Yoon are John Connolly of West Roxbury (repeat candidate); William Estrada of East Boston; Matthew Geary of Dorchester; Martin Hogan of Dorchester (by way of Southie); and David James Wyatt of Roxbury." Senator Jarrett Barrios, a Cambridge Democrat who has been an outspoken advocate for minorities and gay marriage, confirmed today that he will leave office in early July to become the president of the Blue Cross Blue Shield of Massachusetts Foundation. The Commonwealth of Massachusetts Office of Campaign and Political Finance website lists campaign finance reports for candidates and potential candidates for State office. Greg Glennon and Tim Schofield, two of the candidates for City Council to represent Allston & Brighton were recently considering runing for State Representative against Mike Moran. Making laws at the State House is very different than being a City Councilor at City Hall. Allston & Brighton need a City Councilor who really wants to be City Councilor, so hopefully these two repeat candidates will present a clear explination of their sincere interest in City Council and why that is where they belong instead of at the State House. 2006 Year-end reports by the Committee to Elect Greg Glennon and the Committee to Elect Tim Schofield can be viewed by going to https://www.efs2.cpf.state.ma.us/EFSprod/servlet/WelcomeServlet, selecting "View Reports", then "Candidates", then entering the last name. For some reason the way this website is built the links directly to these reports don't work. Have you eaten at this place? Stem cell dilemma a job for Congress - Opinion & Editorial - BostonHerald.com: "There is a story going around town - one now verging on urban myth - that somewhere in the basement of a Thai restaurant in Allston is a refrigerator that is home to a number of newly created stem cell lines." For more information call the Board of Appeal at 617-635-4775. The Boston Cannons, Boston's Major League Lacrosse team, starts its home season on tonight at 7:00 at Harvard Stadium. Parking is $10 for cars to park at the Harvard athletic complex. Seats for the game cost $20 or $15 (seems expensive to watch a lacrosse game, if you ask me). Probably 1000+ cars will come into North Allston for this game. One good reason for charging $10 to park is that it encourages people to use public transportation or otherwise get to the game without driving. One problem this creates people who drive to the game and park for free in unregulated street parking spaces in our neighborhood. This also relates to the construction parking issue discussed at the Harvard meeting on Monday. Harvard obviously has hundreds of parking spaces that it can create on the athletic fields for Harvard-affiliated and non-affiliated events. So when it comes to parking for construction workers who will build the Science Complex on Western Ave, where should they park? Can the inconvenience created by this daily influx of several hundreds cars be shared between the Harvard and Allston communities? 156 Lincoln Street, the longtime home of Goldstein Office Furniture, has been sold for $2,550,000 to Self Storage Lincoln St LLC. Pretty good considering that the value of the land is appraised by the city at $914,600. Preparations for the demolition of the 110 year old building are underway to make space for another self-storage warehouse in our neighborhood. The Cambridge Sunshine Foundation (http://www.cambridgesunshinefoundation.com/) is a new and different organization in Cambridge. Among other things, it is calling for a national holiday to honor and respect Native Americans which seems like a good idea to me. Harvard had planned to give this presentation at the meeting on Monday - Harvard Construction Traffic Presentation - but the meeting ended before we got to this subject. The presentation includes information about worker vehicle trips, parking needs for construction worker cars, and existing daily traffic. I haven't seen much mention of this in the news, but on May 6 a bicyclist was hit by a car and killed at the intersection of Cambridge St & Harvard Ave (near the Sports Depot). This is just a short distance from the intersection of Franklin & Lincoln Streets where a bicyclist was hit and killed a couple years ago. Please be careful and considerate! Bicyclists, drivers, pedestrians! If you want to sleep, don't live in Boston? In the opinion of an anonymous reader, everyone living in Boston should accept the inevitability of loud, all night parties. Anonymous is right that I knew when I moved to Allston that Harvard, BU, and BC were in the general vicinity (though I don't live particularly close to any college campus). I also knew that noise from the Mass Pike can be heard from my house, that helicopters fly over frequently, that train whistles can be heard from trains on the tracks along the Mass Pike, etc., etc. It is also true that the Boston Municipal Code (chapter 16, section 26) sets a standard for noise that is unreasonable or excessive. Most importantly I would hope, regardless of where one lives, that neighbors will treat their neighbors considerately and with courtesy. This is all the more important when people live in close quarters like we do here. Maybe people who feel they have a right to have loud outdoor parties at 3 a.m. should move somewhere they can do this without harming other people. Tired of not sleeping because loud parties keep you up at night? Party season in Allston and Brighton is back! (Some would say it never ended, but after the Mansfield St party that was still going strong at 3:00 Saturday morning, I am declaring that it is back). Boston Police have a new program to help us with this - the Boston Police Party Line - The purpose of the Party Line is to give city residents a direct contact for reporting the occurrence of loud after-hours parties. Please make note of the telephone number 617-343-5500. Boston Neighborhood Crime Watch :: BOSTON POLICE LAUNCH CITYWIDE "PARTY LINE"
I tried using this relatively new City website to report the obvious signs of significant rodent activity at one of the least-maintained houses in the neighborhood. For some reason, the system would not accept the address when I selected "Allston/Brighton" from the neighborhood list. When I changed it back to "Select Neighborhood" then it went through. The method of looking up existing reports is interesting because you can just type in different numbers and see what sort of problems other people are having. Go to http://cobonlineservices.cityofboston.gov/customerservice/ServiceRequestLookup.aspx and type in 16418 or most any number less than that to browse. 16369 is one that might help you choose where not to eat dinner. Someone with some time could easily look at a number of these to anaylze which parts of the city are having the most problems with rats, trash, etc. "...I wish the reporter had dug deeper to find out exactly what prompted the architect to say, "The challenge for us is how to make the building say, 'Here I am, the good citizen of Cambridge.'" Wouldn't it be great to see Harvard and BC become good citizens of Allston and Brighton (and for the BRA to require that as a condition of their expansion)? Considering how neglected we sometimes feel by City Hall here in Allston and Brighton, it is interesting to see this letter to the Globe from a Dorchester resident who says compared "Allston, Brighton, JP, or West Roxbury and you'll find we get nothing in comparison." "...The five-story southern building, designed from scratch to WGBH's specifications, emphasizes the station's commitments to the community. It includes a 210-seat theater, with technology installed so that sight- or hearing-impaired people will be able to appreciate the programming. A performance studio will accommodate 75 listeners, triple the size of the old space. An atrium will accommodate 300 people for larger events. Becton has the space to help achieve his goal to "demystify media." And passers-by will be treated to a view, through sound-proofed windows, of radio broadcasters at work. WGBH, with city permission, widened the sidewalks so that those who wanted to pause a while would not disrupt foot traffic. The station is determined to fit well in its new Brighton neighborhood. "Every step of the way, WGBH reached out to include the community," said City Councilor Jerry McDermott in a telephone interview. The theater will be available for local groups when not in use by the station..."
Glimmers of a Turnaround in Springfield - Can North Allston/Brighton be far behind? Despite a continued problem with violent crime and a troubling reputation to overcome, the New York Times nots in this story that major new real estate developments are being built in Springfield, MA that could bring a big turnaround to the local economy. A $14 million project will add 25,000-square-feet to the 45,000-square-foot former home of the Basketball Hall of Fame. LA Fitness, the national health club chain, which will occupy a 60,000-square-foot space in the new building. The remaining space will go to Trillium Sports Medicine and Chiropractic and a restaurant named Hollywood Barn. Performance Food Group, a company that provides frozen meals for schools and hospitals, is building a new $30 million 236,000-square-foot building and has promised to create 240 new jobs by October 2013. One of Springfield’s largest employers, Baystate Medical Center, submitted plans for a $259 million 600,000-square-foot building on a 3.7-acre parcel next to its current Springfield Street complex. The expansion is expected to add 550 permanent jobs. Meanwhile, last week Harvard got a "for lease" sign up in front of the former Citizens Bank building on Western Ave in North Brighton. Can our economy keep up with Springfield's? For "t.s." (who just commented about fencing around Harvard's construction site) or anyone else who can or can't attend the meeting on Monday and wants to comment on this, you can click here to email the BRA, Harvard, and the Task Force with your thoughts. There will be a meeting of the Harvard-Allston Task Force about construction management and mitigation at the Honan-Allston Library on Monday the 14th, 6:00-8:00 p.m.
Harvard has provided some information for our review in advance of the meeting that you can download using this link. Beware of agressive asphalt pavers! This story (Paving firm is convicted of $1.8m fraud - The Boston Globe) about unethical and illegal actions by asphalt paving companies brings to mind problems that we have had in the past. 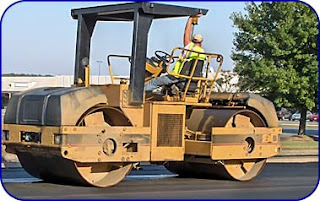 It seems that the contractors who pave the streets for the City often have extra asphalt leftover at the end of the day and they would love to make an extra buck by doing some spontaneous paving work. When the asphalt is in the truck at the end of the day I guess either needs to be used or discarded, so they are hot to make a quick sale. We have seen various pressue tactics to get people to agree "right now" to have the job done. At my house we share a driveway with our next-door neighbors and the pavers have told us the neighbor wants to have the paving done when that is not true. So it is great to see Alcott, Litchfield, and other streets in the neighborhood, but watch out in the afternoon for a great deal on driveway paving. Or if you are actually looking to have some of your property paved, here is a chance to maybe get a good deal. But if you are in the latter category, maybe you'll consider a more environmentally green approach instead of asphalt. 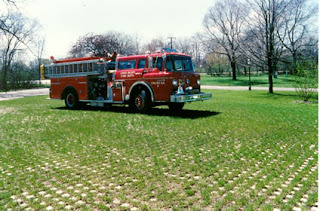 There are many options for porous paving that allow water to drain through, let grass grow between the paving blocks, and look much better than more black asphalt to a lot of people. Creighton, director of the Allston-Brighton Area Planning Action Council, had already decided to run for the "same reason I ran last time," he said. "The job hadn't been done the way I thought it should be done." Mayor Thomas M. Menino announced Friday the availability of Boston Community Grants to be used for summer programming. The grants total $300,000 and will be parceled out in increments of $5,000-$7,500 for summer activities geared towards pre-teens and teenagers for outside agencies wishing to partner with the city. For more info call 617-635-4463. Allston Village Main Streets (AVMS) is currently accepting letters of interest for prospective board members. Interested candidates should submit a letter describing their interest in AVMS and how they feel they can contribute to the organization and the Allston Village Community. Submission of a resume is strongly encouraged. Letters of interest will be accepted through June 15. AVMS board members must commit 2-4 hours per month to the organization, outside of the monthly board meetings. Board members are also strongly encouraged to serve on one of the three committees: Design, Promotion or Economic Restructuring. Desirable candidates will be enthusiastic, interested in the community and willing to dedicate time and resources to AVMS. From BayWindows.com: "As soon as we got wind of the news this morning that District 9 Boston City Councilor Jerry McDermott wouldn’t be running for re-election to the Allston-Brighton district seat this fall, we rang up Tim Schofield, an openly gay Brighton man who’s been eyeing another run for political office since losing a squeaker special election for the 18th Suffolk House seat to Mike Moran back in 2005. Sure enough, when we caught up with Schofield on his cell phone this morning, he confirmed that he was already on his way to pick up nomination papers. “I’m going to the election department this morning,” said Schofield as he gassed up his car at the Allston Hess." Hub city councilor to step down in fall - Local Politics - BostonHerald.com: "Citing personal reasons, Boston City Councilor Jerry McDermott has decided to not seek re-election this November and to instead return to the real-estate business." Want to join the field? Call the Boston Election Department at 617-635-3767. The new vice president will oversee the central administration's financial, administrative, and human resources arms as the University continues its expansion in Allston, renews its efforts in University-wide science initiatives, and attempts to encourage more collaboration across Harvard's 11 schools. Said Faust, "I have been encouraged to consider, in particular, how the central administration can enhance its responsiveness to the needs of our faculties, schools, and other units, and achieve a more integrated approach to the challenges presented by new ventures in science, Allston, and other areas that will call for more collaboration across traditional boundaries...We have set up a dedicated search email account, evp_search@harvard.edu, so that you can write to me to share your views about organizational issues, the qualities we should seek in the executive vice president, and individuals we should consider. All communications will be treated confidentially." Think that BADL might protest Harvard's Science Complex? This story in the Herald (Activist cells prep BIO 2007) describes "a group of notorious animal rights activists" who "are planning to stage day one of “hard-hitting demonstrations” that will carry on throughout the [BIO 2007 biotechnology] convention." The group is Boston Animal Defense League (http://boston.animaldefense.info/) and guess how their website says to contact them? That's right - a P.O. Box here in Allston! Just as we are asking this question here in Allston about Harvard's proposed 100-something foot tall Science Complex, residents of Chinatown are asking the same question about a residential tower proposed in their neighborhood. This story in today's Globe - Question of scale: Is tower too tall for Chinatown? - The Boston Globe - describes the supporters and opponents of a 340 foot tall residential tower proposed for the edge of Chinatown. Mayor Menino is one person who opposes the proposed height - "The design is not in keeping with the neighborhood," said Menino. "I told them it was way too high." We can't really make an "apples-to-apples" comparison between what might be too tall for Chinatown and too tall in Allston. There are already several buildings in and near Chinatown that are 300+ feet tall. The nearby Hopedale Street neighborhood is comprised of homes probably no more than 30 feet tall. Along Western Ave, there is nothing close to 100 feet tall except for Harvard's One Western Ave, and the tower of that building is set back a significant distance from the Western Ave sidewalk. This graphic is incredibly helpful in understanding the height of the proposed project and the exisitng buildings in the Chinatown neighborhood. Will we ever get comparable information from Harvard or the BRA about the Science Complex? The BRA's Scoping Determination (4MB file with public comment & 0.2MB file without comments) required a lot of important urban design information about the Science Complex and its surrounding context, but so far we haven't seen any information like this from Harvard. We can hope that the Draft Project Impact Report from Harvard (expected by the end of May) makes this clear for those of us who can't easily understand the visual impact of the proposed buildings. Twenty thousand people are expected to attend a 4-day biotech conference that starts tomorrow at the South Boston Convention Center. Boston Police expect 1,500 protesters during the event. Members of the community have repeatedly asked Harvard about plans to handle protests, vandalism, or other legal or illegal things that people might do. Basically Harvard's response has been that we shouldn't worry about this. Everything will be fine. A large group of parents from the German International School of Boston toured the St. Anthony's School building this evening. In general they seemed very positive about it and optimistic that it will be the new home to their school. It was electrical spaghetti after a tractor-trailer struck a utility pole in Brighton yesterday afternoon, knocking live wires onto the ground. It took police, Hazmat firefighters and Nstar crews more than an hour to clean up the mess at the corner of Dighton Street and Chestnut Hill Avenue, Boston police said. The wires fell on a parked car. No one was inside the vehicle at the time, and no one was injured. Several live power lines fell onto the street along with the two utility poles that crashed into the car. What’s new at Allston Village Main Streets? ·$17,000 was raised at the Taste of Allston event. ·A $50,000 beautification grant from Boston College will allow AVMS to replace the existing street barrels with new ones, and add 10 more. The city has agreed to maintain the barrels. ·The raffle that began at the Taste of Allston will continue until 500 tickets are sold. Prizes include a Vespa scooter, two mountain bikes and a Razor scooter. Tickets cost $10 and can be bought by calling 617-254-7564. A drawing will be held in June at a time and place to be determined. All those who purchased tickets will be individually notified of the date of the event. ·AVMS is currently accepting letters of interest for nominations for the Board of Directors. ·AVMS welcomes feedback and ideas from members of the public on how to improve Allston Village. Call 617-254-7564 or e-mail mainstreets@allstonvillage.com. St. Anthony's School for sale? "Andreas Jacob, headmaster of the school, also confirmed that discussions were taking place, but was oblique about whether a deal was near. “We are interested in the building,” Jacob said. “I can’t go beyond this. But we are very interested in having our own building.” The school currently leases its premises at 54 Essex St. in Cambridge." "When deciding how Harvard should benefit the community, the University should listen to Gerald Autler, Senior Project Manager at the BRA, who said, “The emphasis should be on those things that Harvard can do better than other entities.” This does not mean, however, that Harvard should ignore other suggestions to improve the quality of life in the Allston community. Many of the community’s suggestions for public space, such as burying Soldiers Field Road, improving bridges over the Charles, and beautifying the area, are ideas that will benefit Harvard as well." Commonwealth Worldwide Chauffeured Transportation, an Allston limousine service with 270 workers and $21.7 million in sales in 2005, makes the list of the 100 fastest-growing inner-city companies. The list of companies is compiled by the Initiative for a Competitive Inner City (www.icic.org), a group founded by Harvard Business School professor Michael E. Porter. ICIC looks like an organization with a tremendous amount of knowledge that could be applied to benefit Allston, the home of Harvard Business School. For example, it recently published a report "Realizing the Inner City Retail Opportunity: Progress and New Directions". Sounds like expertise that could benefit Allston Village and Western Ave. Governor Patrick's administration is reportedly trying to get money from Harvard to help fund the purchase of CSX rail lines west to Worcester, south to Fall River and New Bedford, and north to Somerville. Apparently this would be part of some deal that would lead to a commuter rail station in Allston that would serve, among others, users of Harvard's Allston campus. Enter Boston University. BU recently unveiled a new master plan for its campus, and of course a commuter rail stop and transit hub also part of BU's vision. Harvard and BU may not each be able to get their own transit hub in their nearby campuses. Is there a win-win design that benefits both schools relatively equally or will there be a winner and loser? The Greenhouse Restaurant and Coffee Shop, which had been in business in Harvard Sq for the last 30 years, closed last week. The Crimson Editorial Board is absolutely right in their concerns about the retail future of Allston. They "hope that Barry’s Corner will not end up with another four banks to facilitate student withdrawals, but rather see appealing shops and eateries that will benefit students, faculty, staff, and Allston community members alike." Harvard has spent hours and hours telling us about parts of their proposed buildings that the general public will never see. But Harvard seems to have minimal interest in the true public spaces of the buildings. We are told "maybe there will be a cafe" or about a cafeteria that might exist. But a Starbucks or an institutional cafeteria are not going to make Barry's Corner and the rest of Western Ave a special and interesting place. If Harvard wants more support for its plans in Allston, a great place to start would be a serious focus on the public areas that will host businesses that will serve and enrich the Allston and Harvard communities. Harvard officals don't seem particularly supportive ("Keep it all in perspective,” said Harvard spokesman Joe Wrinn, stressing the sustainable farm proposal is just “one of many ideas for future development of Allston") so it is great to hear that the idea is gaining support from multiple diverse groups across the University (Harvard’s Sustainable Allston committee and Harvard Medical School’s Center for Health and the Global Environment). Based on the positive comments that readers posted on this blog yesterday, there is also great interest from the community. Someone asked yesterday how to support this idea. I think the most important thing is to keep public attention on it. Ask about it at Harvard Allston Task Force meetings (the next one is Monday at 6:30 at the Honan Library). Write a letter to the editor of the Herald (letterstotheeditor@bostonherald.com)to follow up their story and voice your support. Call Paul Holloway in the Mayor's Office (617-635-2678). Harvard's alumni magazine profiles a few projects under construction in Cambridge. I can't help but notice that none of these buildings are anywhere near as tall or big as the Science Complex that Harvard has proposed to build in Allston. And considering the small scals of the Western Ave housing, it is fascinating that Harvard gave as much to the community as mentioned below. - Housing at the intersection of Western Ave and Memorial Drive (former site of Mahoney's). Harvard will turn the land in front of these buildings into a public park. Although the University proposed at first to put a park at the interior of the property, close to neighborhood houses and away from the traffic-filled streets, Riverside residents and some city councilors insisted that it be where it will be for its public visibility. Also as part of the deal that allowed this construction project to move forward, Harvard agreed to build and turn over to the city, after all the building permits it needed were in hand, 34 units of affordable housing. The 137,000-square-foot Laboratory for Integrated Science and Engineering, a.k.a. LISE. Only a third of the building is above ground. The building also includes a cafe and patio. The newly created quadrangle of which the patio is part will be landscaped in a way that accommodates an outdoor music performance space. This building has 210,000 square feet of space above ground and 260,000 square feet below (four stories up, four stories down). This is one of the best ideas that I have seen from Harvard Square in quite a while. The proposal for a working farm in Allston is being championed by the Harvard student organization Sustainable Allston. This would fit beautifully with Mayor Menino's goals to improve the environment as part of the "Grow Boston Greener" program announced in this press release. If you add in some community gardens (there are community gardens along the Charles River and some in Allston south of the Mass Pike, but none in the North Allston/North Brighton area where Harvard is our neighbor), a famers' market, some public art (possibly some scuplture associated with the Art Museum that Harvard talks about building in Allston) and this could really be something wonderful. A joint Harvard-community green development like this would be a great mixing area for the Harvard and Allston/Brighton communities to mingle and interact. Farmer-students would meet Allston and Brighton residents who grow flowers and vegetables on nearby plots, local children and Gardner school students could be involved to learn about the environment, agriculture, and nutrition, and people from across the neighborhood could stroll in and around the gardens, shop at the market, and enjoy nature in a unique setting in this urban location.